May turned out to be a busy month, with Detonator off it gave me time to get Sandonista out to get his regionals qualifications before the cut off date in the middle of June. To be honest I had hoped to get them a lot sooner but it didn’t happen so we needed all his Medium points and if that happened then I was going to try for his Advanced Medium. He went to Northallerton first but there was only one medium class which he won with a PB for him of 70%, I was thrilled how much stronger he was feeling! We also had a go at the advanced medium that day and he was quite green but we gained a qualifying score so we were on the way. So two days later we were back at Northallerton with Sando and also Tango for his first outing in a few months. Sando did two medium tests and just felt amazing, gaining great scores of 68% and 70% all he now needed was one more qualifying score at Medium. 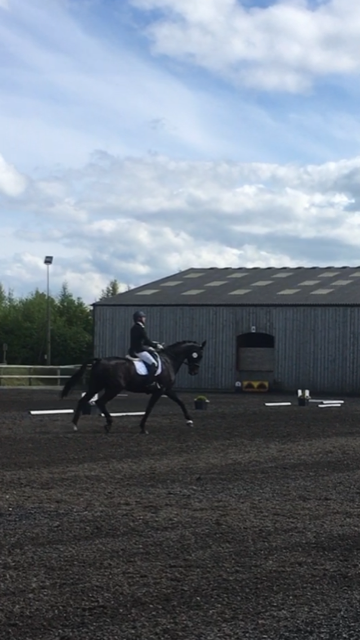 Tango was so so good, I dropped him in at the deep end doing Novices and although lacking a bit of confidence he was so good and got much better scores than I expected and his first novice points. So the following week we had Snainton with both boys, Sando did one medium test and gained his last medium points, phew! 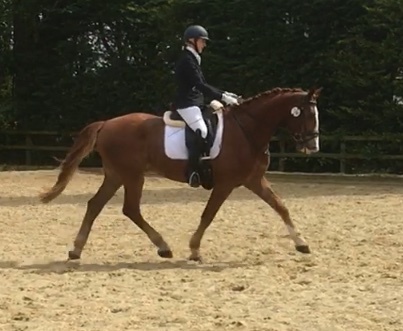 Tango again did two novice tests and at a new venue, he was just so well behaved for a baby gaining his first qualifying score over 68% with a win!! 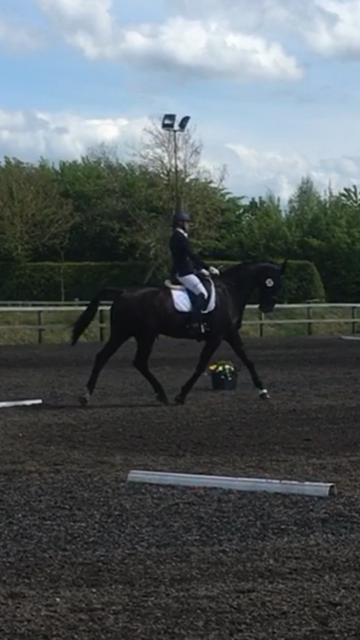 The last competition in May was again back to Northallerton with Sando doing two advanced Medium tests and although a bit green in the first, he gained a qualifying score and in the qualifier test he was much more established and got a PB of 68%. Tango again did two novices and got a little tense loosing concentration but still managed 67% in one. So just 2 more Advanced Medium points needed with Sando and with only one competition running that level that I can make it to before the cut off date it all hangs on that, hopefully we will get it. Detonator had a trip back to the vets for a re-scan of the ligament. I was so hoping he could start back in full work but although it is much improved its still slightly bigger so to be on the safe side he is having another month of walking. We were reserve for Great Britain in July at Hartpury but I’ve now pulled out and we will unfortunately miss all the premier leagues. Hopefully taking this extra time will mean I can achieve the real goal for this year; Grand Prix!! He is being kept healthy and entertained while spending more time in his stable with his Horslyx Mobility Balancer while the others are now on the Horslyx Garlic Balancers for flies, and as we get lots of midges it helps so much! I also managed to qualify for the European Duathlon championships in 2019 so I’ll be competing under the Great Britain flag in another sport, the things you do when your International horse is out of work!